Prolific plants with single-stem habit and a long harvest period. 'Butterstick' produces a yellow straight-neck squash on a zucchini type plant. Proven tops for performance, flavor and wide adaptability. Squash, Summer, Butterstick Zucchini Hybrid is rated 4.8 out of 5 by 25. Rated 5 out of 5 by Brooke47028 from Beautiful, Delicious, Prolific, and Cruel This is the first year that I've had luck with squash/zucchini--it's the first year I've tried Butterstick, and only my second year with a garden in the ground rather than pots. I planted four of these, plus two green zucchini (also from Burpee, but old seeds, nothing special). These plants are twice as big as the greens and are yielding at least three times as much squash, plant-for-plant. A couple got bigger than I planned on allowing, but they were still tender and delicious. My one point of caution, especially if you are gardening with children, as that the plants are very spiny. My shins were covered in scratches from late June through mid July, and now that it's August, my forearms are in rough shape. If you space your plants appropriately and are better than me about wearing your gardening gloves, it shouldn't be an issue. I stake my plants, so I've interacted with the spikes far more than the average gardener will, but they're intense enough to be noteworthy. I'm excited to grow these again next year (and will replace my old, boring green zucchini with the green tiger ones from Burpee). 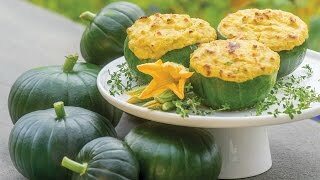 Rated 5 out of 5 by WoodlandRanch from Great Producer and Overall Healthy Plant I enjoy planting zucchini and this variety far exceeded my expectations. 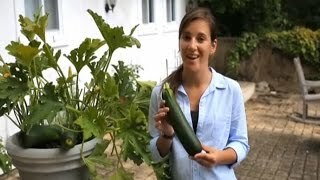 The zucchini plants which I started from seed are healthy and produces delicious zucchini. This Butterstick variety actually outperformed my favorite yellow Summer Golden zucchini. I will be planting them both next year and we will see which variety wins next year. Definitely will be purchasing more of the Butterstick. Rated 5 out of 5 by Doodlebug1021 from Hardy and prolific This is a delicious addition to our garden. The fruit is straight and so pretty. Rated 5 out of 5 by Moxiejan from Burpee Butterstick is a champ! I took a chance & planted seed when Omaha had a brief warm spell in late April. It germinated like a champ & now there already are 10+ baby squash that will be ready to pick by mid-June! Rated 5 out of 5 by Christopher B from Couldn't keep up with them!! Decided to buy this squash growing season 2017. These plants were AMAZING!! I could not keep up with all the squash it produced! The plants grow rapidly and have huge leaves that easily take over, keep that in mind when placing the plants. The fruits would double and triple in size in just a few days. The taste was amazing and a favorite to everyone I gave them too. Had a minor issue with squash bugs, but placed some potted mint plants in the area and that got rid of them. Rated 5 out of 5 by Cynthia M from large, healthy plants I bought this and started the plants in my greenhouse along with other vegetables. When I transplanted them into my garden, this variety larger than my other zucchini plants and is delicious! Rated 2 out of 5 by Farmer Bud from Disappointing I planted this stuff months ago, got lots of flowers and two squash. The rabbit got one and the other rotted. More blooms today, tho'. I have hope.